The rent at ReNew One Eleven Apartments ranges from $897 for a one bedroom to a $1,024 two bedroom. Apartments in this building are about 15% less expensive than the Mesa average. This is a pet-friendly apartment. This apartment is in Mesa. Nearby parks include Mesa Villas Water Retention Basin, Reed Park and Joseph Reed Park. ReNew One Eleven Apartments has a Walk Score of 52 out of 100. This location is Somewhat Walkable so some errands can be accomplished on foot. Renew One Eleven is an updated community with easy access to US 60 and AZ Loop 202 and just minutes away from AZ Loop 101, Phoenix Sky Harbor Airport, and various resorts. Residents enjoy the convenience of the Valley Metro Light-Rail expansion, shopping at the Mesa Grand and Mesa Riverview shopping centers, hiking in The Tonto National Forest or Usery Mountain Regional Park, and tubing down the Salt River. Our newly upgraded apartment homes are equipped with black appliances, updated cabinetry, brushed nickel lighting, and washers and dryers. You'll be delighted with our amenities that include a relaxing swimming pool and spa, an outdoor lounge area with grills, a state-of-the-art fitness center, indoor sports court, bark park and so much more! At Renew One Eleven, we provide more than a place to live, we offer a lifestyle! Visit our photo gallery or give us a call to schedule a personal tour and open the door to a new way of living! Explore how far you can travel by car, bus, bike and foot from ReNew One Eleven Apartments. ReNew One Eleven Apartments has some transit which means a few nearby public transportation options. Car sharing is available from RelayRides. 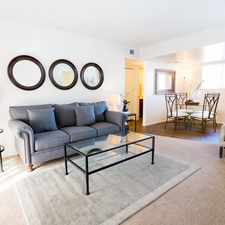 ReNew One Eleven Apartments is in the city of Mesa, AZ. Mesa has an average Walk Score of 37 and has 439,041 residents.